Oaxacan-style Lime Sorbet, Avocado-Chocolate Ice Cream, and Rice-Almond Ice Cream with Cinnamon. All recipes are created with the home cook in mind, and written in Fany's knowledgeable but accessible voice. Mexican Ice Cream features vibrant location photography and captures the authentic Mexican heladerias that Gerson has been visiting for decades. 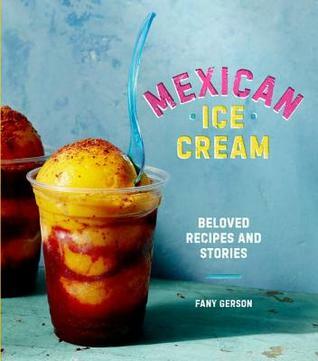 For anyone looking to up their summer ice cream game, this is the book.